The BUCKSNORT HUNTING WORLD enterprise was developed in 1995 by Andrew Lewand. With it's headquarters in Fairport, NY, BHW has grown steadily over the years. Our website,as well as our published newsletters,serve to provide useful information to hunters of all game species. Be sure to bookmark the website and re-visit often as the site will grow considerably in the near future and be updated frequently. 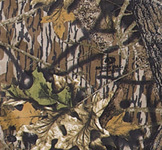 One of the main focuses of BHW is hosting area hunting contests. Each fall we conduct a big buck contest and in the spring we host a turkey contest. Our subsidery, The Bark At The Moon Coyote Club, hosts the Western New York Predator Hunt. These hunts are fun in nature and we invite all friends of BHW to participate. As a graduate of SUNY Cobleskill's Fish & Wildlife Technology Program, Andrew enjoys all facets of hunting and spending time in the woods and fields. He believes that his BUCKSNORT HUNTING WORLD enterprise has allowed him to make great friends who share similar interests. Lewand lists turkey and predator hunting as his favorites. "One of the luckiest hunters in the state!" Karl always seems to have animals come to him! If you want to have some action during a hunt, invite Karl along. Deer, Fox, Crow, and turkey all are favorites of Karl's. We met Richard year's back while on a guided prairie dog hunt. He has remained a true friend ever since. If you need to bag a Merriam's turkey or a mid-west buck, give Richard a call. One thing is for sure... You will be talking about your adventure for years to come! Originally from Dolgeville, NY, Bob now resides in Sardis, Ohio. His scenic farm is full of turkeys and deer. Years ago, a cometic conversation with Bob turned into an idea for BUCKSNORT and the enterprise was born!! Richard has been hunting all sorts of game for over 60 years. As an accomplished competition shooter (NYS Champion), Richard acts as technical advisor for many of the BUCKSNORT articles and publications. Richard states that squirrel and predator hunting are his favorites. Richard's shooting exploits can be seen on the Prairie Dog Safari VHS tape and in our video section of the website.